The Lord has a way of choosing just the right people to serve Him on LaGonave and then bringing our paths together at the most opportune time. Robin and Beth Churchill, of Nova Scotia, Canada have had a heart for missions and especially Haiti. As you will see from their background, it would seem as though they have been training for this position for most of their lives. Robin is a non-commissioned officer in the Royal Canadian Mounted Police and Beth has an extensive background in business with experience in accounting, Real Estate management, and computer software programs. 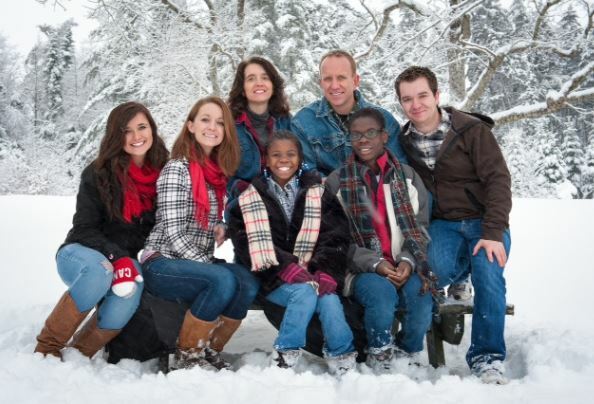 The Churchills have five children, Joshua 25, Emily, 23, Kaylin, 20, Peterson, 13, and Gaelle, 8. Follow the Churchill’s blog, Beyond the Fence, as they build their support team and transition to their new home on LaGonave.